If Pinterest is not yet in your social media strategy, it’s certainly time to consider it – it has already made an impact in its infancy. 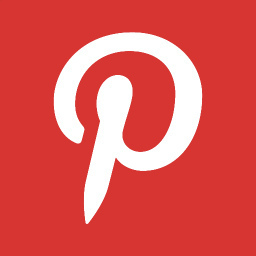 Pinterest describes itself as “a virtual pin board. Pinterest allows you to organize and share all the beautiful things you find on the web.” For “beautiful things”, think photos, drawings, paintings, infographics, graphs, pie charts, diagrams, videos or other visuals. The site allows users to bookmark and organise image and video content they find interesting or inspirational, and gather them together on a themed Board to share with followers and friends. Users record their dreams, desires, ideals and values using Pinterest. This is why it provides an ideal platform for not-for-profits to engage with those who share in their cause – many have created Boards titled Causes I love, Charities I love and Charities I support. Once you are registered, you create Boards on which to pin content. Your Boards can be public or private, and you can set access so that only you can pin content, or allow other users to as well. You can add information about your Pin in the tag box – remember to include a web address. Involve supporters and show success. The Humane Society of New York have Boards of all their animals that need homes, success stories of those animals that have been adopted and happy pictures of adopters with their new adoptees. Tie facts to images. UNICEF raises awareness and educates users about children’s rights and where they are being violated by posting information associated with each photo within the tag box, as on their Board called UNICEF children. Go beyond your own messages. Amnesty International USA are spreading the message of human rights with Boards promoting Fair Trade items, a Human Rights Reading List and Inspiring Quotes and People. Show gratitude. WWF UK has created a Board called We Love – Our Supporters! that displays all the wonderful images by children who support their cause – a great way to showcase support in action. Similarly, Child’s i have created three Boards (Giving Love, Giving Time, and Giving Money) to reinforce their campaign message with images of supporters who have been giving. There is a Gifts section where you can add items for sale. Gifts start at $1. Just include a price in dollars within the tag and when you upload the pin it will place it in this section for you. Remember to add UK pounds to your tag as well if you are a UK company. Promotions can be used as an effective way of engaging your most active advocates by inviting users to pin and tag their fundraising activities for your charity, or pictures of themselves wearing your products. Ask users to create a Board around a subject or theme. Ask users to vote on their favourite competition entry by liking or re-pinning it (there are as yet not the same competition restrictions as on Facebook). Create a sweepstake by asking users to pin their entry to a Competition Board you have created and draw from the winner from pinned entries.